Winegard LNA200 Boast XT preamplifer for HD TV Antenna. •Powered through coax connection - no additional electrical wiring required. Boost is the most advanced digital TV antenna amplifier available featuring the lowest noise figure (1 dB typical). Using the latest advances in amplifier technology, Boost, enhances any antenna, delivering more range and available channels. Give your antenna a Boost today! Need more range? Looking to get more channels? Are some of your channels pixelating or dropping out? 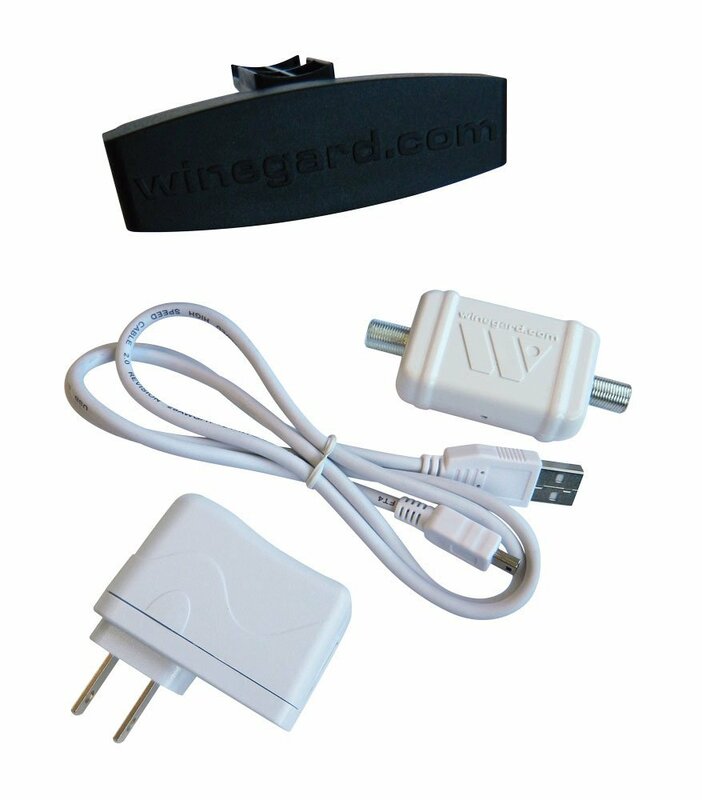 With the new Boost amplifier series by Winegard you can maximize your current non-amplified antenna performance without having to upgrade to a newer antenna. Designed and engineered by the antenna experts at Winegard, these cutting edge amplifiers are loaded with the latest technology to set a new standard for digital TV amplifiers. Most advanced digital indoor antenna amplifier design Boost is the most advanced digital dual-band TV antenna booster available today. This indoor amplifier increases range and delivers a crystal clear TV signal to HDTVs so viewers can get more broadcast TV channels in high definition than with an antenna alone. Thanks to Clear Circuit Technology, Boost also features the lowest noise figure (1 dB typical). The Boost enhances any non-amplified indoor antenna, delivering more range and reducing dropout and pixelation.